It's no secret that I love the little details when entertaining. I'm always trying to find unique things I can do to make the meal special. 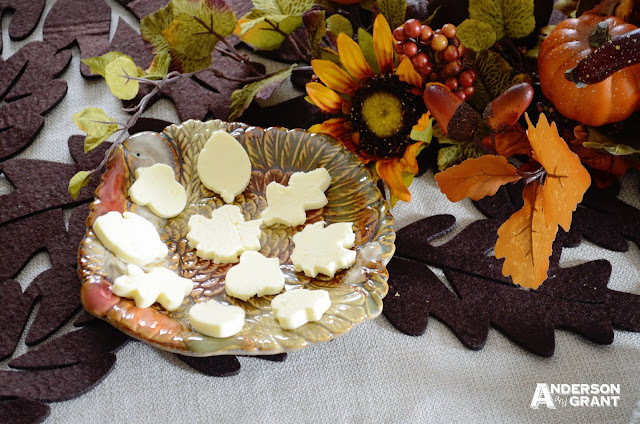 A few years ago, I started using tiny cookie cutters to shape the butter for the Thanksgiving table. It's one of those little things that you can do that really shows you've put some time, effort, and thought into making your meal special. And it is so simple to do! 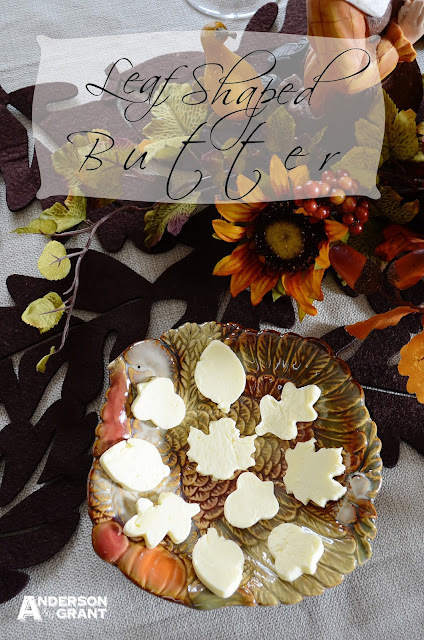 Leave your butter out on the counter until it is soft enough to roll. 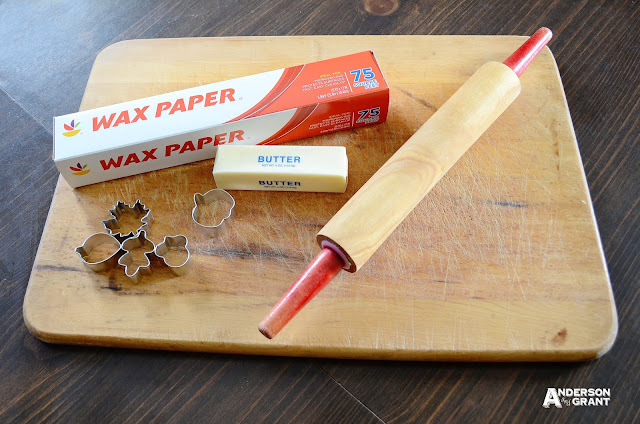 Place the stick of butter between two sheets of wax paper. 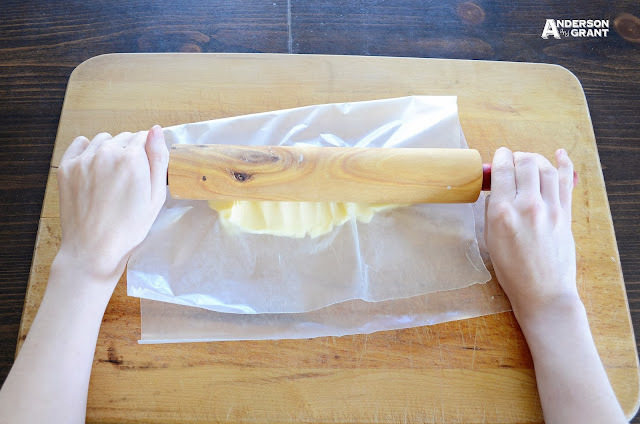 Using a rolling pin, roll the butter until it is the thickness you desire for your cutouts....I normally roll mine to about 1/4 of an inch. Put the butter, wax paper and all, back into the refrigerator to harden. 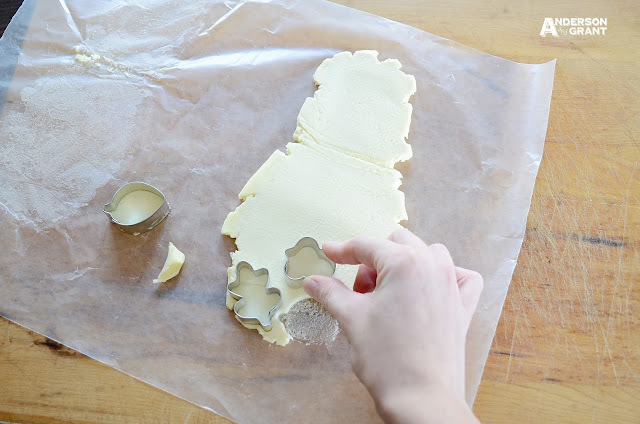 When the butter has hardened, take it out, and use your cookie cutters to cut out the shapes. 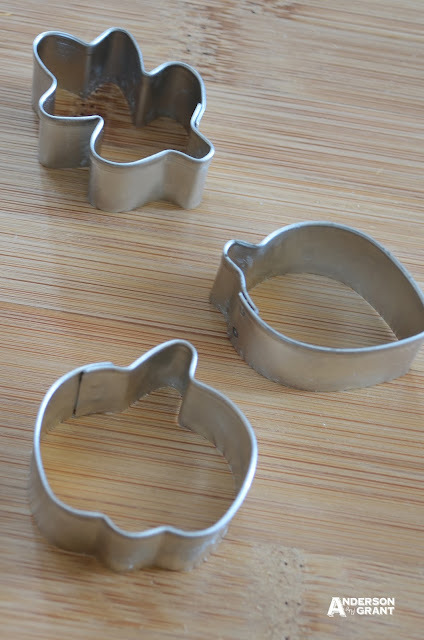 The mini cookie cutters I use are made by Wilton and have different shaped leaves, an acorn, apple, and pumpkin (six cutters total). Wilton also makes mini ones for Christmas and Halloween. 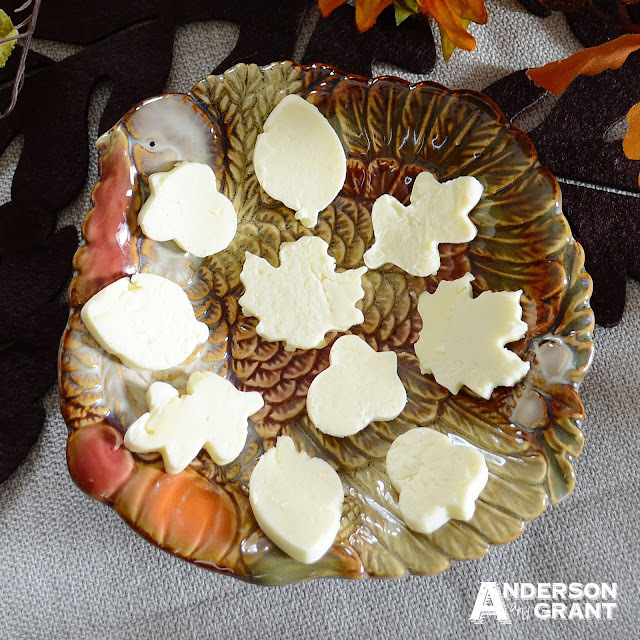 Place the cut out shapes on a plate or in a container and put them back into the refrigerator. 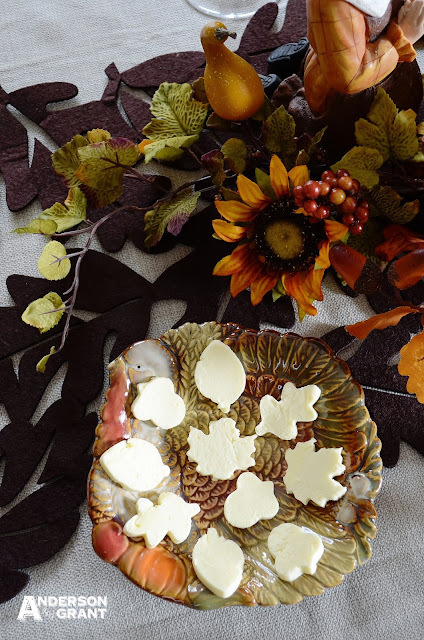 The leftover butter can be softened and rerolled if you'd like, but it does start to take on a different appearance. It is best if you try to only do the process once. Try to cut each shape as close to the next as you can. I think this is a special little touch that will thrill your guests for the holiday! Do you agree?